First of all let me say I love machetes (I have 7 of them) and all my experience is in the brush and woods of S.E. Michigan, however I’m beginning to question if it is the best tool to carry with me as I do things on my 10 acre property of which 7 acres are covered with woods with a lot of under brush. 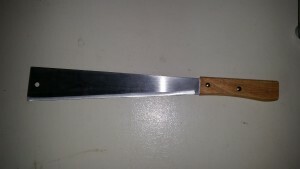 One thing that machetes have going for them is they are inexpensive, usually in the $20-$30 range. Frequently they are nowhere near sharp when you get them, but 1/2 an hour with a file will turn something into a very usable tool. 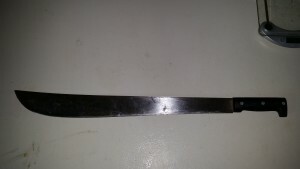 My favorite machete that I currently is a no-name with a 22″ blade and plastic handle. I’ve had it for more than 10 years and is still my go-to when I’m heading out. My only complaint is that it doesn’t do that well in woody brush, I don’t think it has enough weight at the end where you usually try to chop through branches. 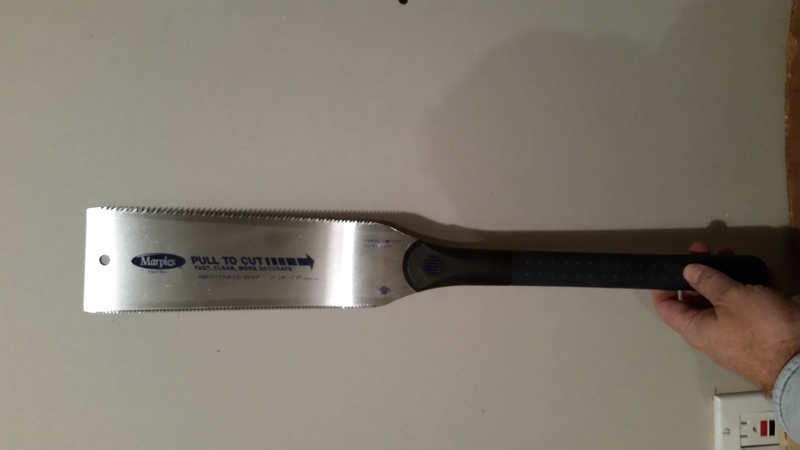 I picked up this one from Tractor Supply on sale for about $5 and it is called a “corn knife”. I’m thinking the shape with more weight up and the head might be what I’m looking for. However it is about as sharp as the edge of a ruler, the bevel grinds do not meet to form a point. I’m OK with that as I can take a file to it to product what I want, a stocky cutting, well chopping edge. Now for a purchase I’m not happy with. 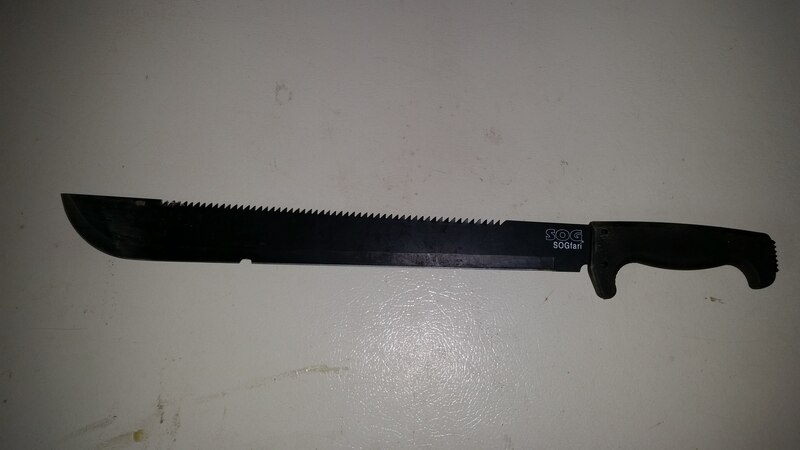 I bought the SOG Machete shown below with the thought that the saw blade on the back will be good for when I need to deal with the woody brush. However the grind on the edge is concave which produces a very thin cutting edge. My 97 lb teen age son with skinny arms chipped a section out of the blade – TWICE. The first time I sent it back for replacement and the second time I wasn’t willing to pay shipping again for something that I think is a poor product. It just sits on my shelf as a reminder to be careful what you buy. Time for some pure speculation on my part. The machete comes from a part of the world that needed a tool for cutting sugarcane and other undergrowth. I believe that the material I deal with is more woody then what the machete was designed to deal with. Thus it can take a lot of chopping with a machete to get through the honeysuckle bushes and wild grape vines that are my biggest problem. The Indians that lived in my geographic area did not have metal-working before the arrival of the Europeans so I don’t think we can ever know for sure what tool the natives would have developed if they did have metal working skills. Common knowledge is that the Tomahawk was what the Native Americans used and originally had stone cutting heads until the Europeans brought metal heads. My speculation is the Tomahawk is the equivalent to the machete for my area of the world. However a machete is still useful in my area as I do have some areas of tall grass and I find it very helpful in the garden and comfrey patch. But it is just not the tool I expected it to be in the woods so I’m looking to find a new obsession, I mean option. I’m considering a Cold Steal Tomahawk or a Woodman’s Pal. While the Tomahawk is very cool I think I’m leaning more towards the Woodman’s Pal, the hook knife will be very useful in dealing with vines and brush. On second thought I should just get both. The other option I’m considering is a bolo style machete which has a lot of metal at the end to give you the weight needed to chop though wood. Let me know your experience with machetes in the comments. Unless you are independently wealthy you have to budget the amount of money you spend on tools. In doing that you have to balance the quality of the tool, what you need it to do and how much it costs. A cheaply made tool that doesn’t function well or breaks easily will cost you more in the long run than a tool that cost more up-front but lasts longer. However you can spend money you don’t need to by buying tools that while expensive are worth every penny to someone who can take advantage of the level of precision that the tool offers, but you are not that person and will never be that person. Another thing to consider is how often will you use that tool and will a value priced tool be good enough. Personally I tend to spend more on my hand tools to get a higher quality as I know they will last forever and the technology will not change. 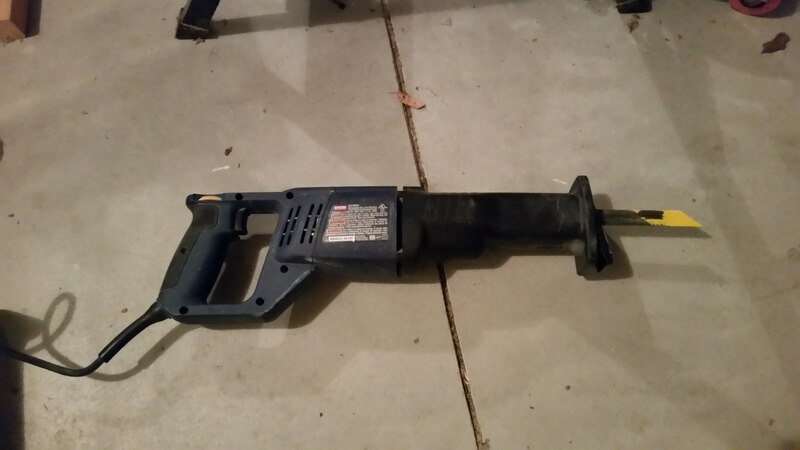 For power tools I tend to go with a more affordable option or buy used. Let me give you some examples and reasons for my decisions. Mechanics Tools (wrenches, sockets & screwdrivers) Pay More – I bought the Craftsman brand from Sears 25+ years ago and they are still going strong. I can’t say if the current production runs are the same, but they sure work for me. Plus the few that did fail were replaced for free by Sears. However I also bought a no brand set of impact sockets from Northern Tool and broke my own rule, but this set has been fantastic and they are not showing any signs of cracking or wear. Impact sockets take a lot of stress and I am surprised at how these have held up. 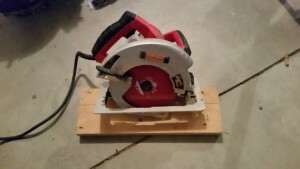 Circular Saw/Miter Saw: Buy on the lower priced side – I bought what I would consider “one step up” from the bottom and have been happy and had them for years. Now I do not use either of these on a daily basis so if your use pattern is different you might want to go higher up the price scale then I did. For what trim work I did the precision of the Ryobi miter saw I got was more than a match for my skill level. However I know a master craftsman that builds stairs that you wouldn’t believe that spent thousands on a miter saw but his skill level is high and he needs the more exact tools. 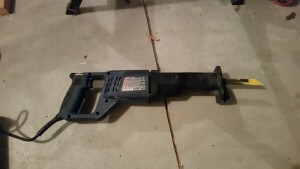 Handheld Grinders: I bought Cheap – I have both a 4-1/2″ and an 8″ right angle grinder that I got from Harbor Freight. The pricing on these was very low compared to other brands. But I only need these a few times a year. When I need them it would be very hard to get done what I need to do without them (mainly sharpening mower blades) but I just do not use them that much. I have to say I do not regret at all this purchase even it is one of my “cheaper” buys. Cutting Things (Blades & Chisels): Pay More – I have found that investing more in quality cutting tools is wise. I’ve bought the bulk pack of sawzall blades and they were not worth the cheap price I did pay for them. Also spending a bit more on a circular saw blade will make the saw you do have perform much better. While not high-end I did buy a set of Stanley wood chisels and I did have to sharpen them but the do very well for me. Cordless Tools: Homeowner grade – I have went with the Ryobi brand and I use the impact driver frequently. I would expect any brand you recognize and is sold in the big box stores would work for most people. Interestingly I know some contractors that also buy “value-priced” home owner grade cordless tools because they have found that it usually isn’t wearing out that causes them to replace these tools, it is theft, dropping or doing something you shouldn’t. Why buy expensive stuff for your workers to destroy? Hand Tools (hammers, hand planes and the like): Pay More – For these tools you need to buy a brand that is recognized as quality, otherwise you will be disappointed. The big box stores do sell quality hammers (I have an Estwing that I bought 30 years ago) I have tried a wood plane once and it was close to worthless. I have done much better with used ones from eBay, a little clean up and sharpening and the work good. Lee Valley makes some absolutely wonderful planes, but at $250 and up I cannot justify spending the money. In closing I would say do not let tool snobs prevent you from getting a less expensive brand of something you need. There is something to be said for saving your money and buying something that will last a lifetime, but keep in mind many power tools will not last that long no matter what brand they are or how much you spend so consider carefully how much you spend. Your best option would be to talk to someone who would have a similar use patter to you and see what they have and what they think about it. If anyone says with great enthusiasm “I would never buy anything but XYZ brand”, carefully consider their stance before you decide to follow them. My personal recommendation is to spend more money on non-powered hand tools and look for lower priced options on the power ones. Unless you are rich then I don’t think you will be coming to me for advice anyway. First of all notice that I said “lumber” and not “wood”. What is the difference you may ask? Well for the purposes of this discussion wood is what trees are made of and lumber is when someone takes that wood and cuts it to a standard size and dries it to a stable moisture content. In years past the hand saw was king and doing everything from carpentry to building fine furniture used a hand saw. 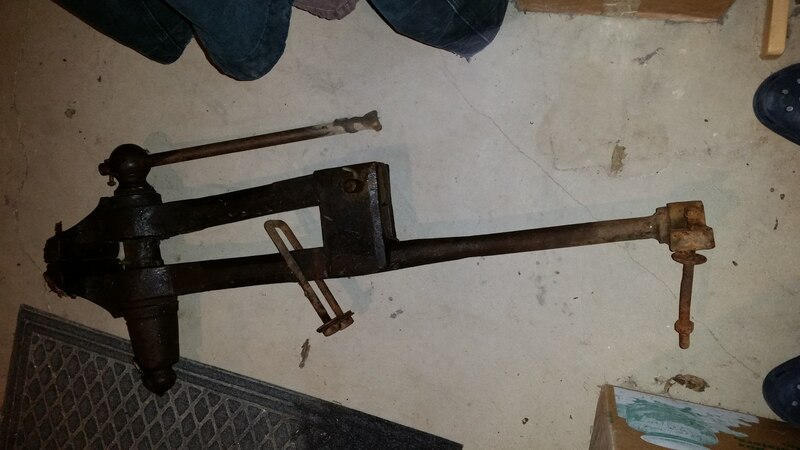 Later as the industrial revolution came about factories had powered saws, but small shops did not have a power source and likewise carpenters could not take a steam engine or water wheel to the job site with them, so they still used a hand saw. Back in the very early 80’s Mr. Kruger taught me about saws in shop class. In the cabinet there were rip saws, cross-cut saws and back saws and only the teacher got to use the table saw. A good idea for 7th & 8th graders. However hand saws take maintenance just like any other edged tool and I’m sorry to say it is not common to find someone who can “tune up” and sharpen a hand saw. This requires some special files that are not too hard to find and a saw tooth set which is harder to find one in good shape. Plus you need the skills to file the teeth properly and “set” the teeth. While I have a love for traditional woodworking and tools, I have not been able to get this to work for me. I haven’t found a saw tooth set that I was will to pay the asking price for and therefore haven’t invested the money in hand saws. Except for those hand saws lovingly maintained by my old shop teacher I haven’t found any that made trying to cut a board anything other than an exercise in frustration. The one exception to this is a Japanese style pull saw that I got for about $20. This saw cuts on the pull stroke so the blade can be much thinner and it has a cross-cut tooth pattern on one side and a rip pattern on the other. However to be fair I really only use it to finish the cut on an inside corner that I can’t get with my circular saw. The way this saws are made the teeth are hardened and really cannot be sharpened, the blades are almost always replaceable and disposable. The price is low enough that I would recommend everyone have one of these. There are much more expensive Japanese style saws that can be sharpened, but they are not someplace I’ve chosen to spend my money. My skill level isn’t high enough to benefit from that level of tool. 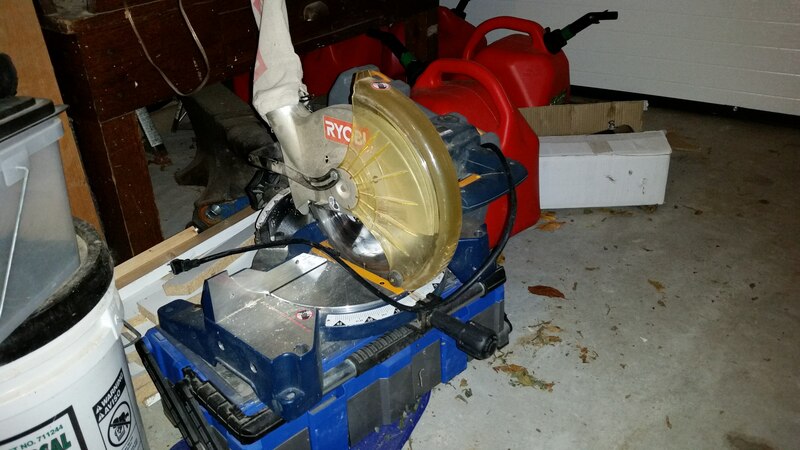 This is a power saw that as the name suggest has a circular saw blade and it is hand-held, that is the lumber is held down and you move the saw over it. You will hear some refer to it as a SkilSaw as that was one of the first manufactures and the name became synonymous with this type of saw. They start at $50 and good ones can be had for $100 and great ones cost $200 or more. For the average home owner the $50 ones are good enough if you are on a budget and I haven’t found anything that disappointed me about my $100 Craftsman saw. One thing I will recommend is buy a better blade with carbide teeth and use the one that came with the saw if you have to cut questionable wood or are not concerned about good the cut looks. If you are working with plywood you should consider getting a blade designed for cutting plywood, it will have a lot more teeth per inch and produce a better cut in that material. This is a very convenient way to cut material to length with either a square or metered end for corners. It is most frequently used to cut trim but I have used and abused mine and cut a lot of 2×4 studs and even PVC pipe. For the $100 I paid for it I have more than got my money out of it. I want to build a miter saw station for it so it is always ready to go. This saw is mainly used in demolition or other rough applications as it does not product a particularly straight or smooth cut. But when something is in your way there are a variety of blades that can cut through just about anything. Again one of the “nice to haves” until you really need it, then it is a “must have”. There are some situations where almost nothing else will do. 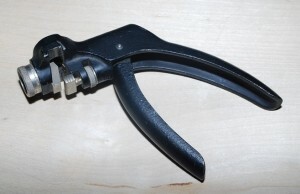 “Sawzall” was the first maker and it has become the name by which this tool is known. This concludes part one and I feel I should mention that all of these, with the exception of the sawzall are really designed to make straight cuts. While you can make crooked cuts, that is more a user error then the design of the saw. 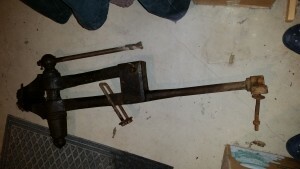 Also all of these are designed for you to move the saw with the lumber staying in place, clamped if a small piece or just held with its own weight if it is a large piece. In the future we will provide overviews of other saws.